Giant Hyundai Nissan purchased a Tennant T5e floor scrubber from PowerVac two years ago for our workshop. We found the staff very professional and supportive throughout the process. The after sales service has been professional with the scheduled services which have resulted in minimal downtime. 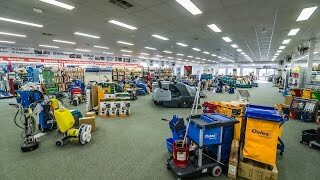 We would recommend PowerVac to anyone looking for cleaning equipment.